Winter of 2016 I found myself on a walk-a-bout. On a personal journey from Colorado to Washington state for several weeks of self discovery. Much of my time I spent with my daughter in the tiny town of Port Angeles, Washington. 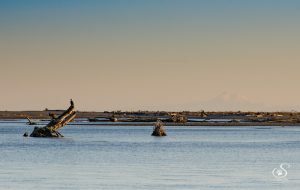 With the Strait of Juan de Fuca to the North and the Olympic Mountains to the south I sat in the midst of photography paradise. I wandered down to the water to spy on seals & bald eagles. And up into the mountains for snowy Lake Crescent scenes. But my heart yearned to photograph pets. Within two weeks I had tracked down the local humane society. Olympic Peninsula Humane Society https://www.ophumanesociety.org/ is located just on the edge of town nestled in lovely northwest trees and meadows. The OPHS has their own little forest with a groomed walking path that all the dogs know by heart. Near the dog building a rock garden and patio serve as a perfect location to pose adventuresome pups. In a separate building the cats enjoy huge suites and the bunnies have taken over the enclosed back patio. On each of my four visits I had the honor of photographing whichever adoptable animals needed portraits. I posed a pair of pugs on a flat boulder. A regal pyrenees paused on the forest trail for her photos. An elderly cocker spaniel lounged on the patio for her session. We gathered all the Christmas decorations from the entire facility to create a holiday set for a litter of foster puppies. Kitties of all ages enjoyed rolling around on the soft fabric of my portable table top studio. (Yes on my walkabout my photography gear filled half my Subaru so I was well prepared for any photo adventure.) One bunny with a neurological condition managed to sit still for a few images (she was adopted quickly after that!) And one bunny we decided to surround with real carrots and lettuce for a fun studio set-up. But the strangest animals I have ever photographed were also at the Olympic Peninsula Humane Society. I consider them strange because I had never personally interacted with one and honestly didn’t even know what it was when I looked at it. 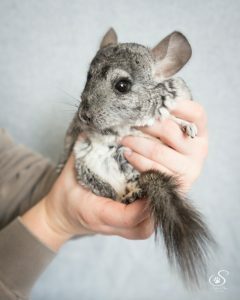 With the softest fur in the universe, a long bottle brush bushy tail, big round ears, shiny black eyes, teeny feet and cat like whiskers I had met a Chinchilla. Actually a pair of chinchillas. 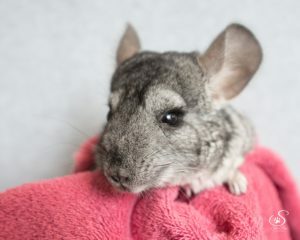 According to Wikipedia, chinchillas are native to Chili in South America. The chinchilla is named after the Chincha people of the Andes, who once wore its dense, velvet-like fur. Unfortunately by the end of the 19th century, chinchillas had become quite rare after being hunted for their ultra-soft fur. 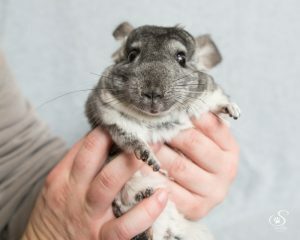 Somehow chinchillas became exotic pets. But I wouldn’t recommend them! They are very difficult to care for. Again per wikepedia they need dust baths, low stress, strict room temperature regulation, and teeth care among many other needs. This pair we learned were relatively wild. The previous owners did not handle them and likely did not 100% know how to care for them. Only one employee at OPHS knew how to handle them. As gently as possible she cradled one at time in her hands for their adoption portraits. Very fast, small, delicate and unpredictable we decided against letting them go on the studio table set. The first one we used a soft pink towel to wrap her in and concentrated on close ups portraits. The second one was a little more comfortable so she simply held him in her hands. While not the ideal poses we managed to create some extremely cute images of these strange rodents. Volunteering at an animal shelter brings surprises and challenges. I never know before entering who I will encounter. I will definitely never forget those soft, squirmy, exotic chinchillas. Listen to the narrated version on the Tales with Tails podcast Episode 8. Aired November 26, 2018. Available on Anchor.fm, Apple Podcasts and your favorite podcast app. 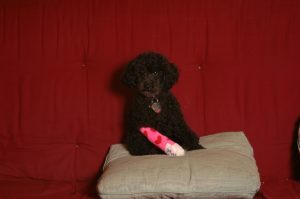 A sick little puppy visited the veterinary hospital I managed nearly every day in the spring of 2002. The other two pups in her litter were doing great but she was struggling. This 2 pound poodle would rest in my pocket during her visit all day in the hospital. These were the rationale I told them and my family. But really she had snuggled her way into my heart. With a promise to keep them up to date and come to them if she ever needed anything teensy Liberty joined my family. She had no less than 21 nick names including WooWoo, Small Dog, Lib a Dib & LouLou. 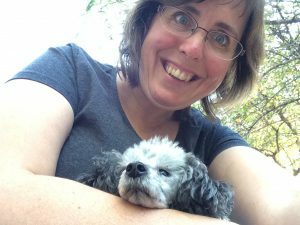 Although her medical issue had challenges her entire life she kept her funl-oving, bouncy, silly character. 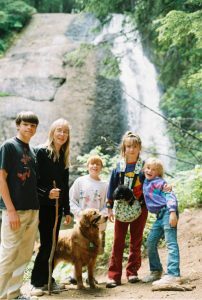 Camping trips she bravely tromped through the forest with our goldie earning the title of Jungle Dog. Favorite crowd pleaser trick was to sneeze on command. She learned all five kids names and would run to their bedroom to wake them up. “Libby, go wake up Crystal!” would send her jetting all the way down the hall to scratch on Crystal’s door until she let her in. Being one of the kids she of course tried to be a rebel. At 5 pounds full grown she had to wear a cat collar with a little bell. The bell helped everyone know she was near so we didn’t accidentally run into her. But she learned how to walk extra slow so the bell wouldn’t sound and she could sneak a piece of forbidden people food off the floor. And the Christmas she became so frantically excited to greet someone at the door that she jumped out of Amber’s arms, fell on the concrete garage floor and broke her front right leg. Thump, thump, thump she drug that cast through the house and up and down the stairs for weeks. 40 days of Pacific Northwest rain required we add a ziplock sandwich bag to her cast every time she need to go outside. With her medical condition she would often struggle to “go number two” and would end up walking on her two front feet to get in the right position. (Circus Dog.) Extra tough with a cast but she managed! A friend to all big and small she loved our golden retriever Gypsy, the old cavalier Papy who joined our family as a senior, our kitty Kay (twice at big as her! ), all our kids, all their friends and anyone who would pay attention to her. But I was her favorite. She and I had a bond that in animal loving circles we call a “heart dog”. Many times in her final years I would defiantly exclaim “My plan is for Libby to live forever and no one can tell me different.” I snuck her into the no-dogs-allowed grocery stores. She modeled for me with tasty Tillamook cheese as payment. She became an internet star in the #PetLoversTribe livestreaming with me 5 days a week on Periscope. When I took a cross country road trip I printed her photo on a stick as Flat Libby so she could tag along virtually. All five pounds of her warmth kept me cozy snuggled on the couch on sick days. In February 2016 she stopped eating. With her lifelong medical issues this wasn’t completely out of the ordinary. But I could tell a difference. Blood test at the vet had them calling me at 7:00 am the next morning to rush her in for all day hospitalization. With fluids, meds and extra tasty food we took her home that night. By the next afternoon we had her in for an ultrasound. She had dropped to 4 pounds. By the next day we could see her light fading and scheduled her last veterinary appointment for the next afternoon. I held her in my arms while she took her last breath surrounded by a caring vet staff and my little family. Sometime in the next year I hope to add another Small Dog to my home. While there is no way a new dog will fill the giant footsteps left by the tiniest of souls I feel like I can finally open my heart and lap again. The world and my home needs #MoreWoos. 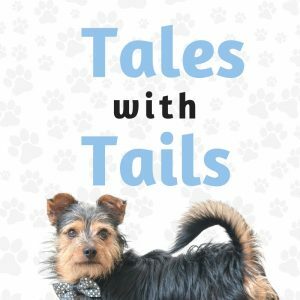 Listen to the narrated version on the Tales with Tails podcast Episode 1. Aired October 11, 2018. Tales with Tails podcast coming soon! Do all of your tales have tails? Mine too! We all enjoy a funny story, an uplifting account or a sweet childhood memory involving animals. That’s what I will be sharing on the podcast. As a lifelong animal lover like you and as a professional pet and people photographer you can imagine I have many tales to tell! Every week I will be premiering an episode that I narrate or a special guest will join me to share their tale. 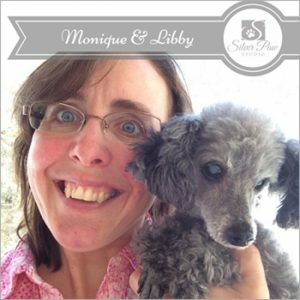 Next time you are out walking the dog, huffing and puffing on the treadmill, or driving to the pet boutique pop in your earbuds and give a listen, subscribe and review. Listen on Anchor.fm, on Apple Podcast, or on your favorite podcast app! This podcasts goes along with the Tales with Tails facebook group at Silver Paw Studio so be sure to join me there too. New design for your weekly Pack Bulletin and Facebook Live Show: The Furtographer Files! Each Wednesday morning you will receive a brief email bulletin with the following 3 segements that I will also discuss more in depth on Facebook Live at 9:00 am mst Fridays. 1. Tip of the Week. Educational insight that I love to share. Cell phone photography tips, working with shelters, post processing and more in bite sized servings. 2. Pets of the Week. 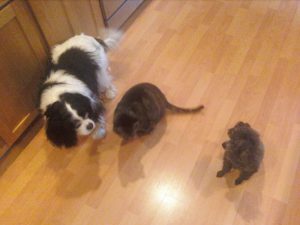 Featuring a client pet/family of the week AND an adoptable pet of the week. Maybe you will be featured or find your next furbaby! 3. Events & Projects. 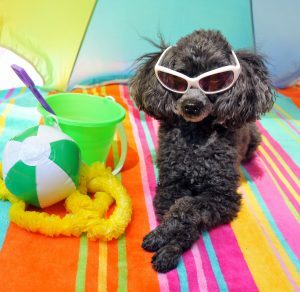 Heads up about local fun animal related events like pet expos, open houses, classes and more. Also spotlight on cool projects I am working on. Sometimes I will even ask for your help! Monthly Interview, Once a month we will chat with a pet professional. 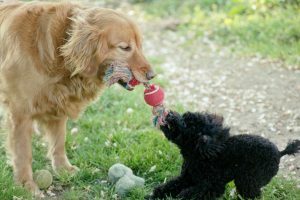 Groomers, trainers, behaviorists and more. 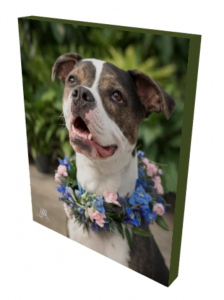 These interviews will help you prepare for a portrait session, give you behind the scenes workings of pet businesses, share tips about services and causes you may not know about, and more. If you would like to be interviewed or you have someone you would like me to interview, please send me email and let me know. 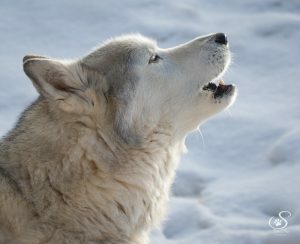 Be sure you are part of The Pack here! 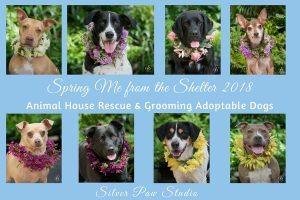 Introducing the 2018 Spring Me Models! Indigo, Bosco, Opal, Raleigh, Scrappy, Lila, Douglas & Libby. The 3rd annual event featuring adoptable pups from Animal House Rescue and Grooming hosted by Bath Garden Center. 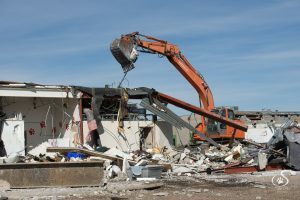 This month the old shelter came tumbling down. 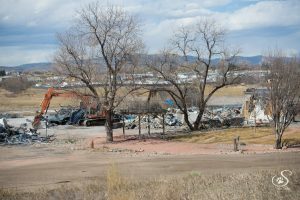 Demolition crews were on-site for 2 weeks at the former Larimer Humane Society. The demo is a bitter-sweet moment for long time supporters of LHS. Many, many memories were born in that building over the years. New families were formed, pets were reunited with their people, Critter Camps were enjoyed, medical needs were met, and animal well being was patrolled from this one story concrete building. Did you adopt a pet at the old site? Did your kids attend camp? Were you reunited? I would love to hear the story! 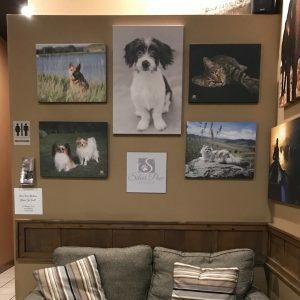 Have you seen cute animal canvas prints at a local business? Hey that could be a display from Silver Paw Studio! Several coffee shops and business have graciously offered their wall spaces as a gallery space for canvas prints from my studio. At the time of publication you can find displays at 13 locations in Fort Collins and Loveland, Colorado. 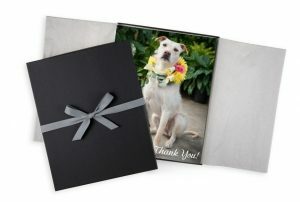 From pet boutiques to coffee shops to groomers to veterinary hospitals. Have you seen a display? Super! Any portrait session booked and completed who mentions where they saw my display will receive a gift certificate back to that business! I would mention the businesses but want to hear from you. Let’s go on a scavenger hunt! Tag Silver Paw Studio in a selfie on Facebook or Instagram at the business with my display and get an extra bonus. Can you find all 13 locations? 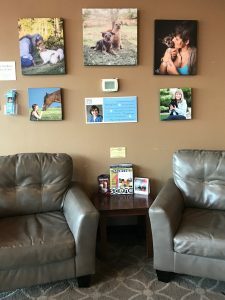 Would you like to display cute animals at your business? Do you have an idea for a display location? I would love to hear about it! Coffee on me-call me at 970-286-3198. Animal House Rescue & Grooming Pups will be photographed at the 3rd Annual Spring Me from the Shelter Portrait Event. Last year people asked if their family pup could be photographed too. Happy to say that we opened up 4 sessions this year! 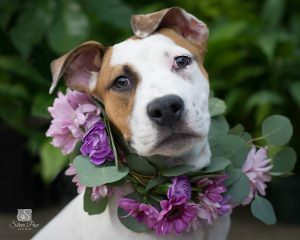 Your pup will have the honor of wearing a flower collar from the Animal House portraits! Sessions will be at Bath Garden Center starting at about noon. Once a year and only 4 sessions available! This once a year opportunity will also benefit Animal House! Drum roll please….Cat Photography 101 is now available! This course is perfect for Bloggers, cat rescues and fosters, and cat lovers everywhere. Even if you are an experience photographer you will learn my tricks for the unique subject of our feline friends. Cats have specific challenges and needs that differ widely from photographing anything or anyone else. Have your notepads ready, this course is jam packed with tips, resources and examples!